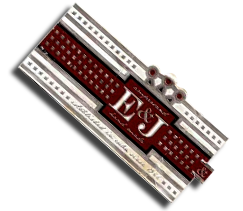 E&J Cigars was founded in 2006 by Eduardo Perez, second generation of Cuban Master Rollers. Mr Perez had been previously manufacturing cigars in Dallas, Texas where he and his father Jose Antonio Perez rolled cigars for many personalities such as Bill Cosby, Gary Busey, Forest Whitaker, Alex Rodriguez (A-Rod), Drew Pearson (Dallas Cowboys) to name a few. In 2006 Mr Perez decided to move closer to his Cuban roots where he is now making the same quality cigars, including made to order according to his customer's specifications. All the tobacco used in his cigars are from Cuban seed harvest in Nicaragua, Dominican Republic, Honduras, Mexico and Ecuador. We are sure that customers will be very pleased with the superb quality of these cigars at very attractive prices. We ship our standard lines of cigars via UPS within 48 hours after placing the orders. 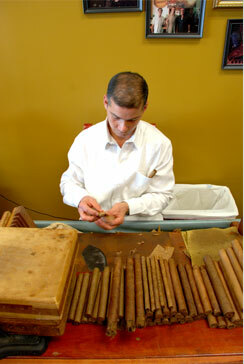 Cigars made to order will take one to two weeks to deliver depending on the size of the order. We accept Master Card, Visa and Discovery credit cards.